Key Difference: H-1B visa is non-immigrant visa that allows the person to work for a company that is based in the United States. An L1 visa is a similar visa to H1 but has slight differences. The person that the employer wants to hire should be working in a subsidiary company for at least a year in the last three years. When it comes to working abroad, a person must apply for certain paperwork before they can be employed abroad for a certain company. These include visas. Visas are an important process when it comes to traveling abroad for any reason. H-1B and L1 visa are two visas that are available if a US-based company wants to hire a foreign professional. However, both of these are different in nature and the terms should not be interchanged. 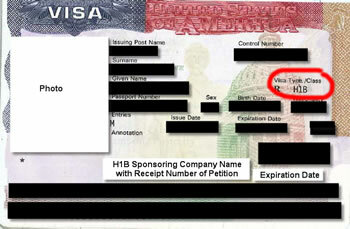 H-1B visa is non-immigrant visa that allows the person to work for a company that is based in the United States. Under this visa, employers in the United States can hire foreign professionals to work for them. These employees must hold a bachelors’ degree or something equivalent before they can be hired. The employer must show that the type of professional the company wants to hire is not available in the US. The person must also be from a "specialty occupation", which includes fields such as biotechnology, chemistry, architecture, engineering, mathematics, physical sciences, social sciences, medicine and health, education, law, accounting, business specialties, theology, and the arts. The individual cannot file for the visa for themselves and he cannot classify himself as ‘self employed’. For dependent family members, the applicant can file an H4 visa, which allows people depending on him to live with him. An H1 visa allows the applicant to remain in the United States for a period of 6 years, after which he/she can file for an extension. Another benefit of applying for the H1 visa entails that the applicant can also apply for a permanent resident status for himself and his family members. 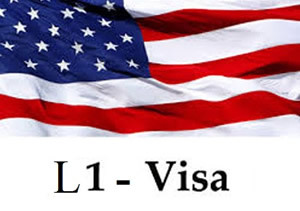 An L1 visa is a similar visa to H1 but has slight differences. The person that the employer wants to hire should be working in a subsidiary company for at least a year in the last three years. This means that only a parent company or a subsidiary abroad can hire a foreign employee. Also, that employee must be working for them at a foreign branch. For example, HSBC in the United States can hire a foreign employee that is working for them in India. The employee should occupy a high position such as manager, executive or someone who has special knowledge. Another use for this visa would include if a company that is not based in the United States wants to open a subsidiary or branch in the United States. For example, if a circuit manufacturing company in Japan wants to open a plant in the United States. This company would send someone from Japan to the US in order to set up everything and start operations. This person would apply for a L1 visa. Similar to H1B visa, the L1 visa applicant can apply for permanent citizenship and if belongs to class A or holds a L1A visa, he can get a green card within a year. Dependents of L1 visa holders are also eligible to work in the US under visa L2. Planning to work for the parent company in the United States or start a subsidiary in the US. A company must be willing to sponsor the applicant. The parent company must be willing to sponsor them.